My content disappeared. What happened? Firstly, if you have WooCommerce installed and activated, but have absolutely no intention of selling products through your site, you will simply deactivate and delete this plugin and your issue will be resolved! You’ll also deactivate and delete the Genesis Connect for WooCommerce plugin as well. If your WordPress install doesn’t add WooCommerce automatically, or if you have an existing site and you’re looking to add WooCommerce, you’ll want to be sure that you are walking through each aspect of this carefully. Then run the WooCommerce Setup Wizard. This should start automatically after you install. Running the setup wizard is crucial because when you fail to run the setup wizard, your site has no way of knowing where your products go, where your customers will check out and where to display all of the different things that you sell. If you've installed WooCommerce and you're not getting the setup wizard, then we will need to manually go in and set a new page for your shop page. 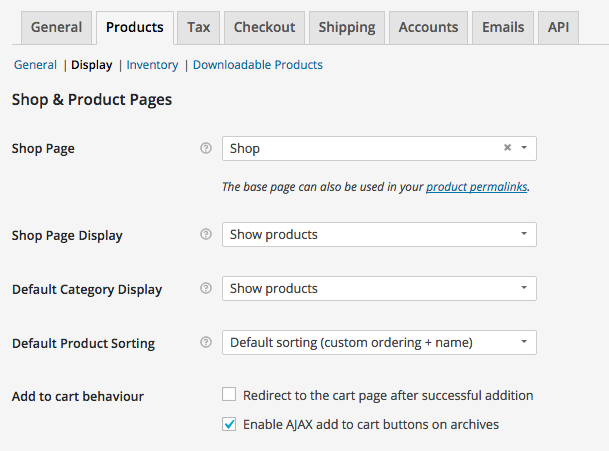 To verify that you have your pages set up, you’ll want to navigate to WOOCOMMERCE > SETTINGS through your WordPress Dashboard. Once you’re there, click over to PRODUCTS and then DISPLAY . Where is says Shop Page, make sure there is a shop page selected there. If you don't have a page named shop in this drop down menu, which you likely won't, navigate to PAGES>ADD NEW. Name the page Shop at the top and hit the blue publish button to the right. Then navigate back to these settings below and set your new Shop page. Once this is done, just hit the save button and all your content will appear again!